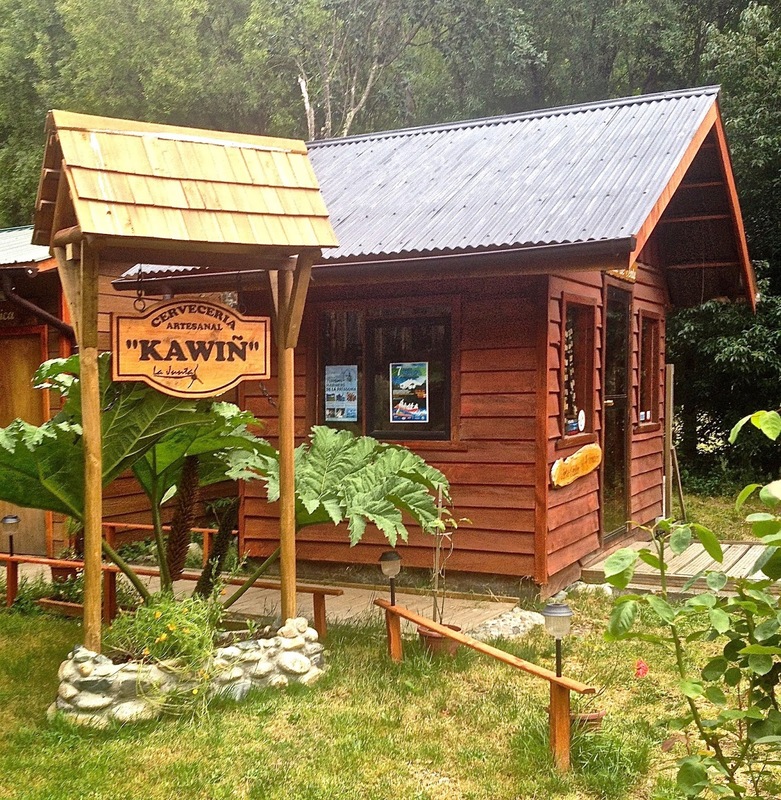 What's Brewing Among the Mapuche? 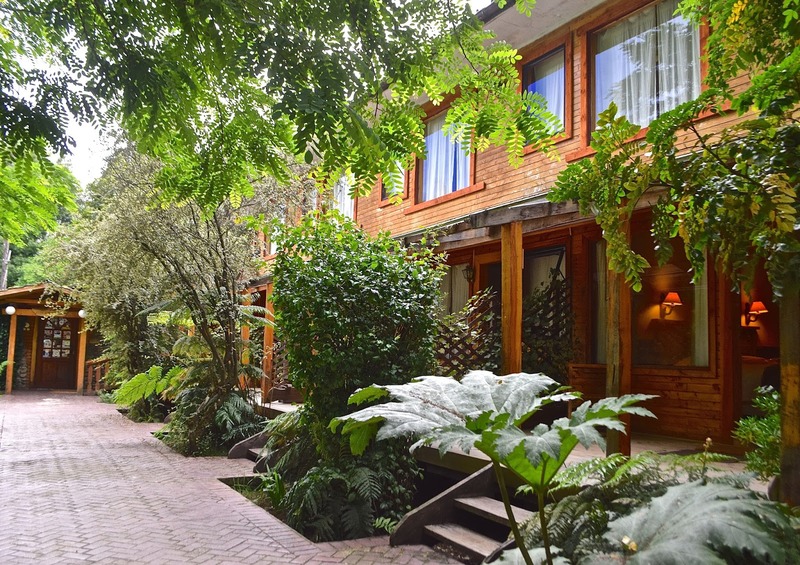 Last month, I was driving north on Chile’s Carretera Austral and stopped in the tiny town of La Junta to visit the Hotel Espacio y Tiempo (pictured above) – the best place to stay and dine in a long stretch of graveled highway that’s presently being paved. Screened from the highway by a corridor of mature conifers and other evergreens, it manages to offer the ambience of an isolated mountain lodge. The hotel’s Chilean-Colombian owners, Alan Vásquez and Connie Palacios, had something different to show me this time. Their indigenous Mapuche chef, Donald Manquenahuel (pictured above), had recently resigned to follow his passion by opening a brewery – and, rather than pleading for him to stay, they built a new structure (pictured below) where he could install the equipment, brew and bottle his Cerveza Kawiñ (the name derives from a Mapudungun word meaning an “agreeable encounter with nature,” and even sell it to passersby here. 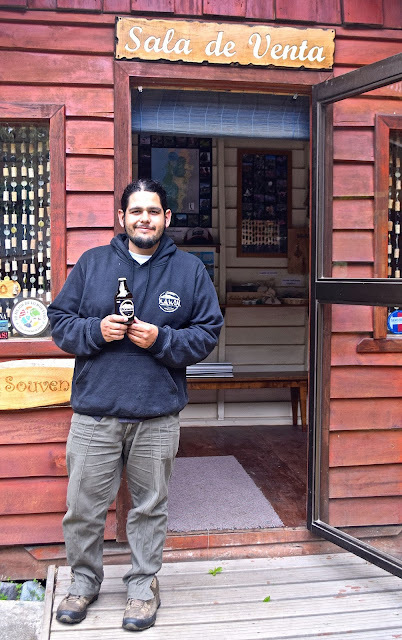 Manquenahuel stresses the purity of Patagonian water that goes into the beer, aims for sustainability in a local market (you won’t find this beer in Santiago, at least yet and probably not any time soon), and recycles everything (nothing is canned, and 80 percent of the bottles are actually reused). 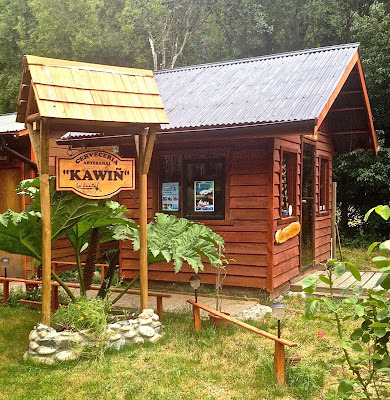 Kawiñ comes in two varieties, a light ale and a dark porter; the shop, which includes other local products such jams and crafts, keeps long hours in summer. But how’s the beer? Well, I may not be the best judge of that, since I generally prefer wine and my annual beer consumption is (considerably) less than a six-pack. 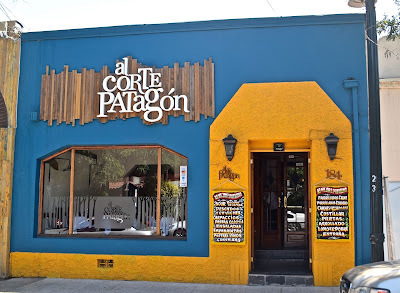 That said, though I consider beer refreshing in small amounts on a hot day, I was able to finish my bottle of ale and later, in Santiago, suggested it to the owner of a parrilla (grill restaurant, pictured below) who specializes in meats from the region. 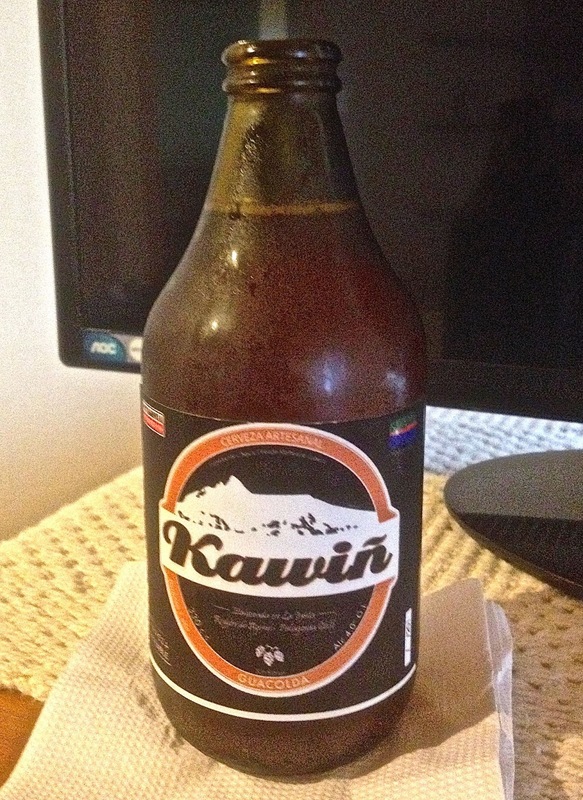 Maybe, in the future, you’ll be able to chug a Kawiñ in Chile’s capital after all. Some 20 years or so ago, in the northwestern Argentine city of San Salvador de Jujuy (pictured below), my wife and I were conversing in English when a tall young black man approached us and also addressed us in English. 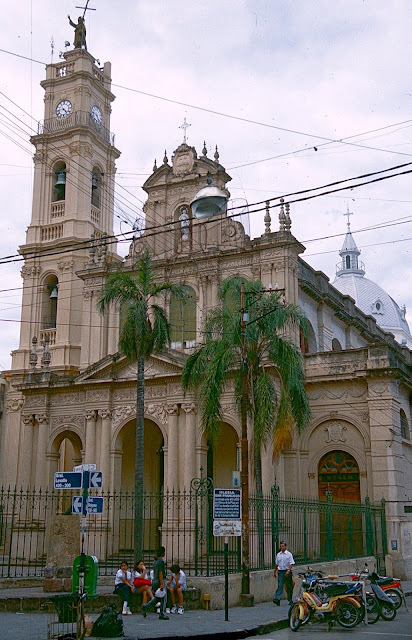 It was more than a little surprising at first, as the country’s Afro-Argentine population – “forgotten but not gone," in the words of one historian – came mostly from the area in and around Buenos Aires, not from this largely indigenous region. As it happened, the individual in question was not an Argentine nor a Brazilian nor any other Latin American, but rather a US citizen who had come south to play basketball in Argentina and was feeling a bit homesick. This memory came to mind last week as I stood in line to board a flight, from Lima to Los Angeles, in which there was another tall young black man who, as it happened, would briefly occupy the aisle seat next to me in coach (I had the window, but had hoped there would be nobody alongside on a flight that was not quite full). The young man, whose name I learned was De Angelo Kirkland, stepped out to let me take my seat and then curled up in a near fetal position to prepare for takeoff. As we waited, I asked whether he had been playing basketball in Argentina and, indeed, he had – living in the provincial capital of Paraná (pictured above), about 500 km northwest of Buenos Aires. From Pensacola, Florida, the 6-foot-8 (2.03-meter) forward had played college ball at Columbus State, in Georgia, and then moved south until very recently, when a Japanese team bought out his contract from the Argentines. In Argentina, he drew a salary in US dollars despite the “currency clamp” that reigned in the country until very recently. He apparently spoke very little Spanish, but his coaches spoke fluent English and, to meet living expenses, he could sell dollars to teammates at the so-called “blue rate.” He thought highly of Argentine players – several Argentines, of course, have been successful in the National Basketball Association - and the local level of play. Conditions, though, were rather like minor-league baseball – basic accommodations and frequent bus trips – in an eight-month season with two or three games per week. The Japanese opportunity came about because his cousin, who already plays in Japan, recommended him to the coach there. To get to Japan, though, he would have to take a four-hour flight from Buenos Aires to Lima, a nine-hour flight from Lima to Los Angeles and, after a brief layover, another 12-hour flight to Tokyo followed by yet another flight to Seoul where he would have to apply for a Japanese work visa. Shortly after takeoff, LAN’s cabin crew found him additional leg room in an exit row, and I had two seats to myself for the remainder of the flight. I spoke to him again, briefly, on arrival in Los Angeles, but would have liked to have learned whether he had further professional ambitions – a Google search tells me he went undrafted by the NBA and, at age 25, his window for doing so could be relatively brief. 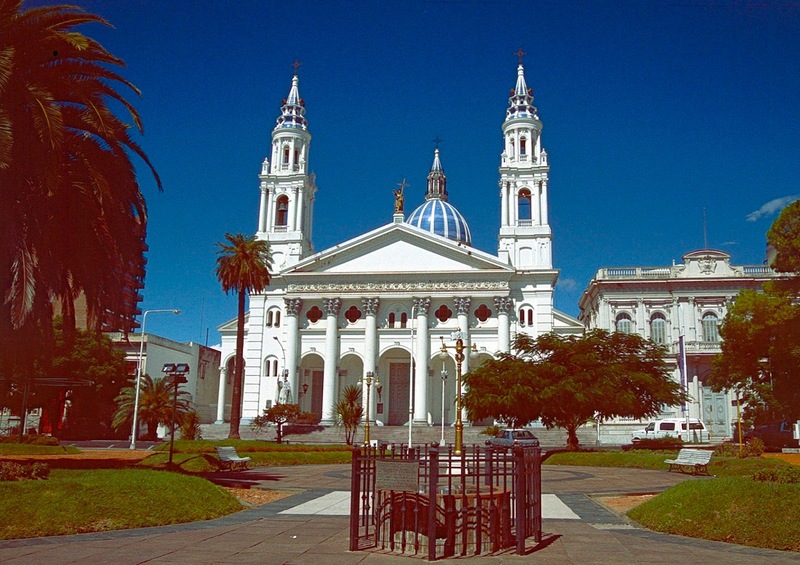 Visitors to Argentina expect to see gauchos, but few are even aware of their Chilean counterpart – less publicly celebrated, the huaso resembles his trans-Andean counterpart in many ways but differs in others. Both, of course, are horsemen, but the gaucho arose from a background of fierce independence on the Pampas, while the subservient huaso originated on the landed estates that dominated economic and social life in colonial and republican Chile. 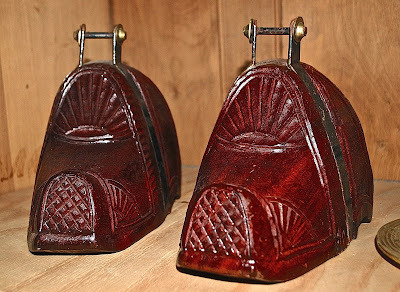 Though the huaso was a hired hand or even a peon attached to the property, on Sundays he and his colleagues could blow off steam by racing their horses, betting, and drinking. As the spontaneous rodeo grew too raucous, though, it drew disapproval from landowners, who responded by organizing competitions that, over time, became more genteel versions of their huaso origins. Though Chilean rodeo remains popular, it is now, according to historian Richard Slatta, a nostalgic exercise that's "a middle- and upper-class pastime, not a profession," as it has become in North America. 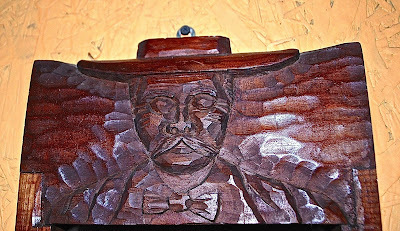 Riders wear colorful ponchos, flat-brimmed hats known as chupallas (depicted above), oversized spurs, and elaborately carved wooden stirrups (photograph below). 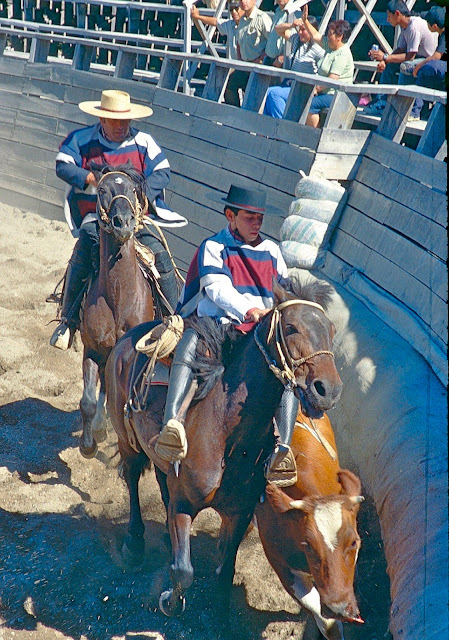 The signature event is the atajada, in which a pair of jinetes (riders) guide and pin a calf or steer to the padded wall of the medialuna, the semicircular rodeo ring (as depicted at top). Since it's harder to control the steer by the body than the head - the chest is best - the horsemen get more points for this. They lose points if the steer strikes any unpadded part of the wall or escapes between the horses. There are no cash prizes, though the event ends by acknowledging the champions and other riders with wine and empanadas. Compared to Canada, the United States, and even Mexico, Chilean rodeo is truly machista - women prepare and serve food, dress in costume, and dance the traditional cueca with the men, but they do not ride. An hour south of Santiago, the city of Rancagua is the capital of Chilean rodeo, drawing thousands of spectators to March's national festival. In the Andean foothills of central Chile and in small settlements along the Carretera Austral, though, rodeo probably comes closest to its historic roots.